The Zesty Lemon Avocado Mash: One of my favorite stress reducing bites that I always suggest to clients is my zesty lemon avocado mash. The perfect 3pm pick me up. Mash up ½ of a medium avocado (the ideal snack size), add a dash of sea salt and freshly squeezed lemon. If you are on the run or at work simply do a little planning in advance. Just like any muscle, the more you practice planning the easier it gets. First and foremost, the myth that fat is bad drives me crazy. Avocados are packed with heart healthy monounsaturated fats. These fats have been proven to reduce stress as well as increase post-meal satisfaction levels. Moreover, avocados contain plant protein to keep you more full for a longer amount of time, give you lasting energy and curb unhealthy junk food cravings. Adding the lemon will help reduce stomach bloating, strengthen immunity and help clear up blemishes due to the high vitamin C content. For more skin clearing snacks check out my Meal Makeover skin clearing French Fry video here and my recent TV appearance here. Lemon also will prevent this splendid bite from turning brown if you are at work. If you are craving a crunchy munch instead of a mash try dipping in some freshly sliced red bell peppers which are huge immune system boosters and loaded with skin clearing vitamin C.
My Sweet Cinnamon Apple Almond Butter Sandwich: Spread ½ tablespoon of almond butter over two thick apple slices (I love Pink Lady apples). Add cinnamon and nutmeg to the almond butter before spreading. It is very easy to go almond butter crazy; keep your portions in check to make this a smart snack. If you know that the jar will be gone in five minutes try another snack – everyone is different. Apples are one of my favorite healthy carbohydrates and are packed with fiber, keeping you full and satisfied for a longer amount of time. Not to mention the combination of different vitamins in apples is great for banishing blemishes. Pairing an apple with almond butter will keep your blood sugar levels stable, which will reduce your cravings for junk food. Cinnamon and nutmeg are two of my favorite spices because they are both natural metabolism boosters and increase your post-meal satisfaction levels. Have a sweet tooth? Check out my healthy dark chocolate version of the snack here and my feel good dark chocolate shake recipe here or my creamy dark chocolate ice cream video here. The Get Gorgeous Baked Spice Grapefruit: Sprinkle half of a medium grapefruit with cinnamon, nutmeg and 1/2 tablespoon of stevia (an all-natural sweetener that does not spike your blood sugar levels). Bake for five minutes at 375 F until the top is a golden brown. If you are on the run or at work, you can enjoy this divine delight without baking it. Grapefruit is a great source of vitamin C and vitamin A, two vitamins that have been proven to contribute to clear skin, a more even complexion, and a reduction in those pesky dark circles under your eyes. 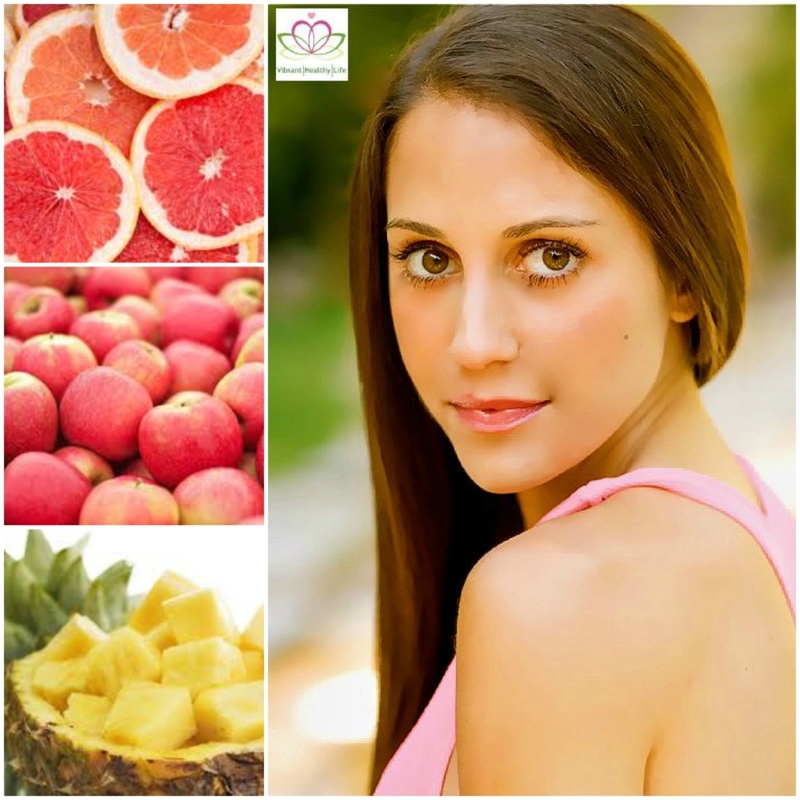 Moreover, grapefruit contains an enzyme that aids in burning fat. It is the perfect afternoon pick-me-up when you are losing focus and hanger starts to kick in.